A few weeks ago, I opined on this forum that I thought “Uber,” the technology company in the peer to peer ride sharing space, was/is the equivalent of the current bubble’s “WebVan,” – overvalued, over invested, destined to either crash and burn spectacularly or be forced to completely reinvent itself. Perhaps combining two bad ideas – WebVan and Uber, into one venture is it’s salvation? Turn all those drivers into delivery people, ala Pink Dot, or put all the pizza delivery guys out of business, by turning food delivery into a competitive bidding landscape. Obviously, I don’t have the answers, but despite their valuation and the size of their wallet, Uber is having more than its share of problems, and from all the quarters you might expect: issues of questionable driver/passenger encounters, excessive pricing (they went to “Surge” pricing in Sydney, Australia last night, as local residents endeavored to leave the central city because of a hostage/shooter situation). (Want to get to safety? $200 please!). 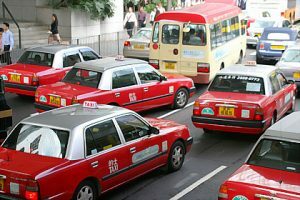 Other issues face the company from transportation regulators, municipal, state, and national governments, unions, taxi companies, and more. The end result is the service has been banned some places and had to sue to open or stay open in others. Not included in the “difficulty”list are the inappropriate foot in mouth statements made by company execs on a variety of topics….the curse of a combination of business running immaturity and having far too much money thrown at you, undeservedly. Quartz.com has a map of current places the service is banned, and places where it’s in contention. I am surprised Portland, OR has its unders in a bunch, as Uber would seem to fit right into the city’s faux hipness. Start-up investors love “disruptive” and there’s no arguing Uber disrupts on a lot of levels and in a lot of segments. I can’t imagine personally using it. It’d be a safety concern for me. And it kinda feels like hitchhiking for money. Lots of people have their eyes on Uber ….. especially those who have sunk millions into it. What’s your guess? Long term, big winner? Or spectacular crash and burn? One thing I do admire about Uber, tho. That’s one beautiful photo of Central Hong Kong on their website. Wonder if Hong Kong Uber drivers wear white gloves and open the doors for passengers like the taxi drivers do?